Anarchist scientist Grant McKay has done the impossible! Using the Pillar, he has punched a hole through the barriers between dimensions, allowing travel to all possible universes. But now Grant and his team are trapped in the folds of infinity, the Pillar sending them careening through a million universes of unimaginable adventure, sanity-flaying danger and no way home... Collecting the first mind-warping chapter of the critically acclaimed sci-fi epic by superstar creative team of writer RICK REMENDER (Uncanny Avengers, Captain America) and artist MATTEO SCALERA (Secret Avengers). 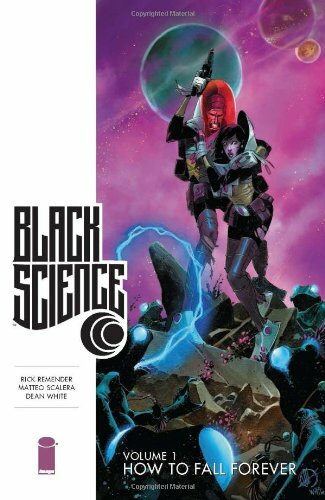 Collects Black Science (2013 Image) #1-6.